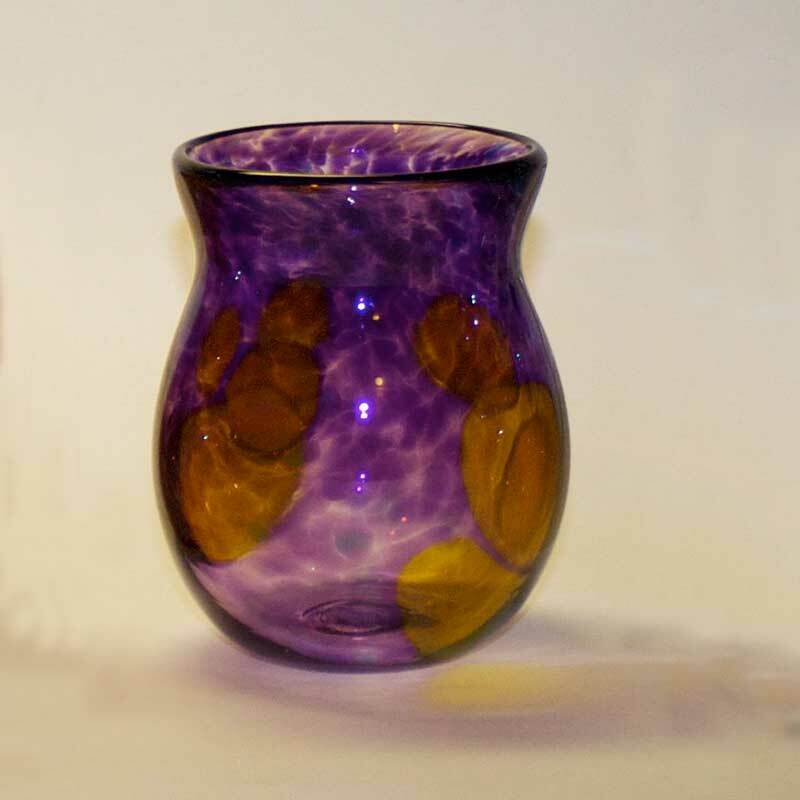 These glasses are approximately 4″ in diameter and 4″ tall. 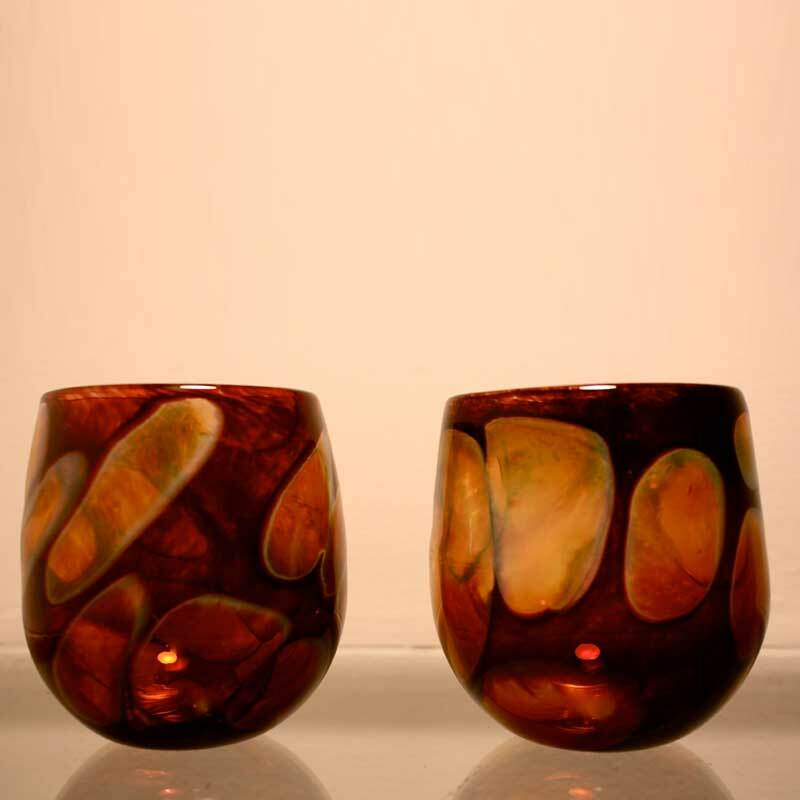 Rectangular blocks of lighter glass are worked into the design of these handblown amber colored glass drinking cups and give the illusion that the ice is already in the drink! I LOVE these tumblers! 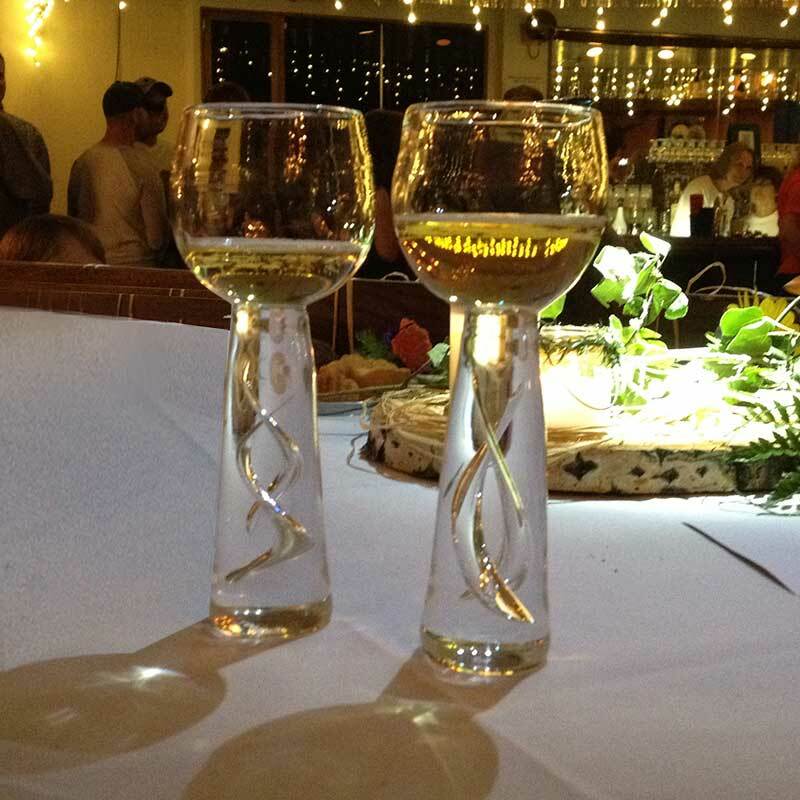 Perfect for water or wine. A functional piece of beautiful art used daily.